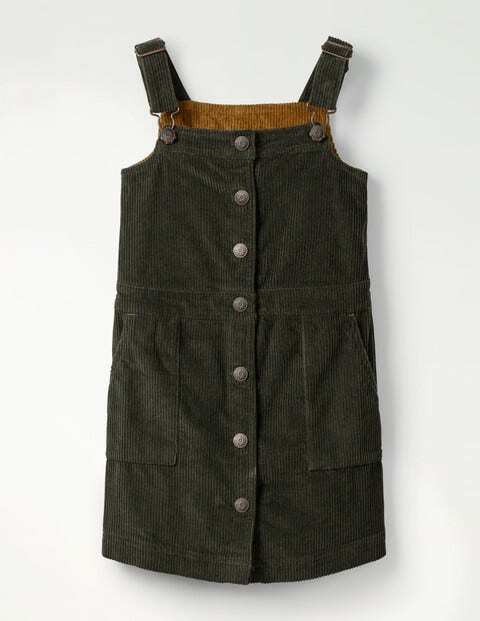 Button up for everyday adventures in our pinafore dress. Whether tree climbing or puddle splashing is on the agenda, the cord is comfortable and flexible enough to keep up. Adjustable straps help find the perfect fit, buttons run all the way down the front and there are two handy pockets for important bits and bobs.